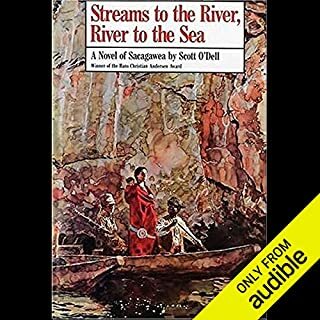 A young Native American woman, accompanied by her infant and her cruel husband, experiences joy and heartbreak when she joins the Lewis and Clark expedition seeking a way to the Pacific. My three kids and I were captivated from beginning to end. The story sparked some good discussions about the treatment of women and Indians, the perseverance of the explorers, and the expansion of the U.S. west of the Mississippi. The narrator was exceptional. 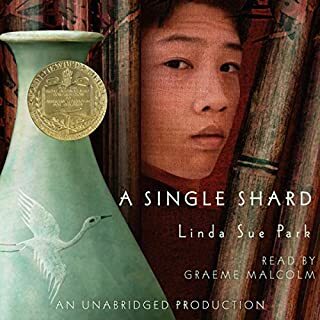 This is absolutely one of my favorite Audible books so far. Everything is excellent- plot, characters, themes, narration. My children and I were captivated from beginning to end. 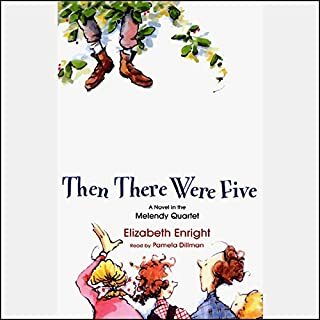 My children and I have listened to this book at least three times, and we have every intention of keeping it a regular in our audio library. Pamela Dillman is superb; she breathes life into each character. The author has a way with words that enchants even my youngest child. I thoroughly appreciate Enright's knack for describing the thoughts and feelings of each character with such authenticity. Sometimes I forget that the Melendy children aren't real! Each of the Melendy books is a treasure, but this one is my favorite.